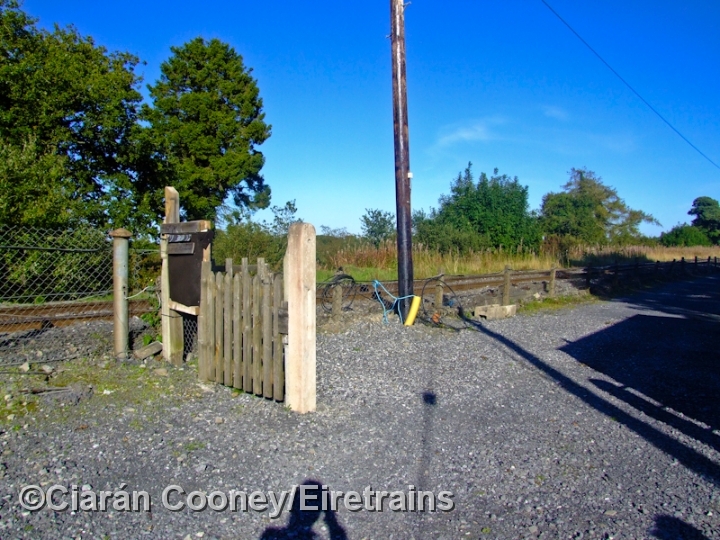 Downs Bog, or the 46th Mile Box was it was sometimes known, was a block post located on the Dublin to Sligo line east of Mullingar in Co.Westmeath. 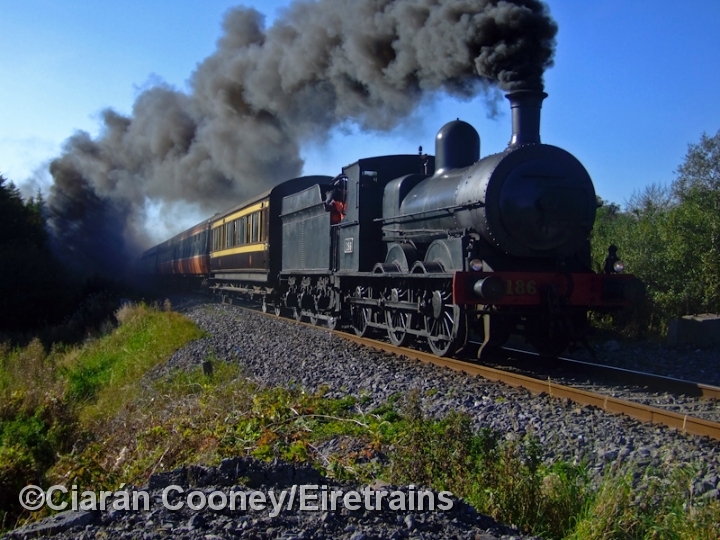 Established by the Midland Great Western Railway in the early 20th century, Downs Bog split the long double track section between Mullingar and Killucan. 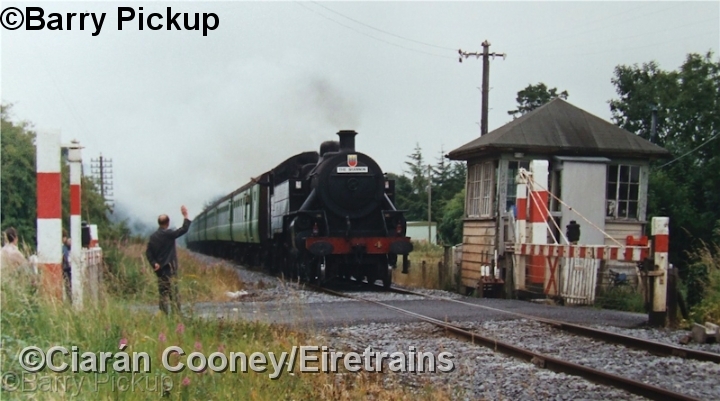 When the Great Southern Railway singled the MGWR's original 1846 built double track, a loop was established at Downs Bog located on the up side. 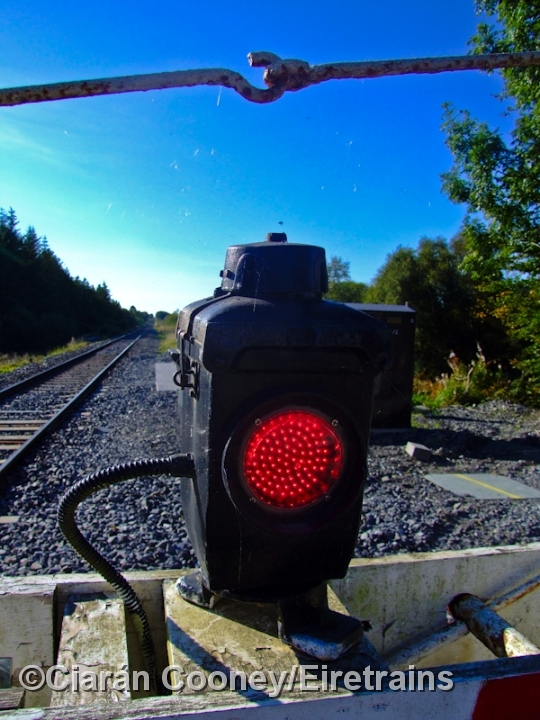 A siding was also provided on the down side of the line adjacent to the 14-lever MGWR signal cabin. 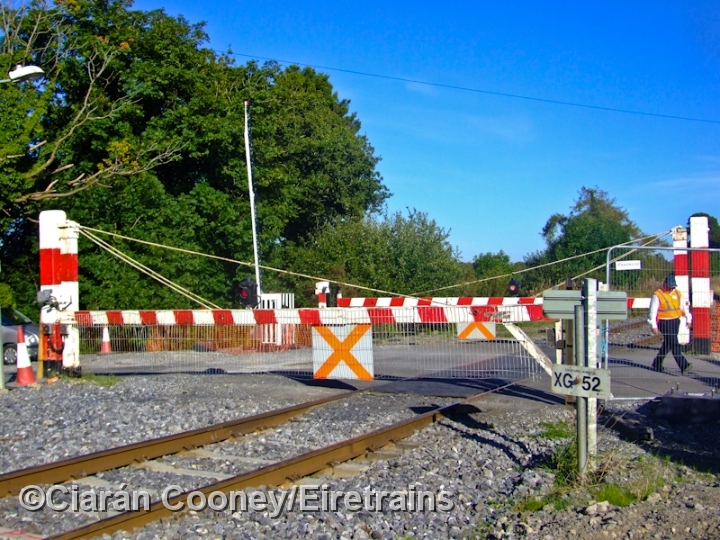 A level crossing was sited at the west end adjacent to the cabin which protected a minor road. 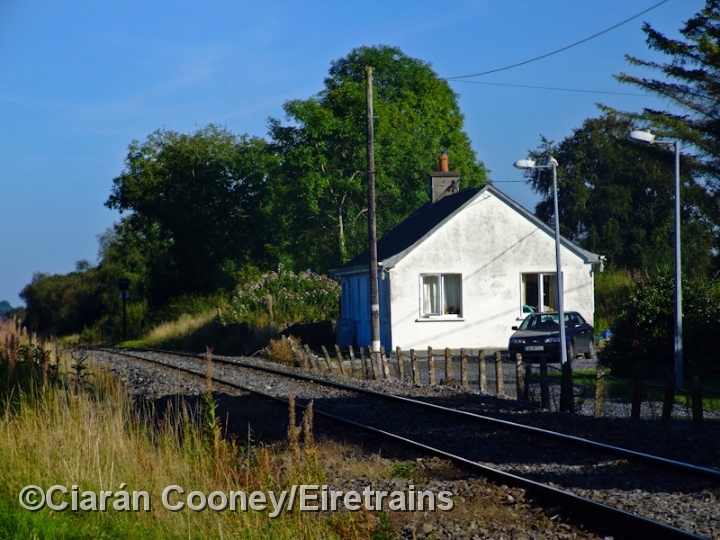 A signalman's cottage was also built at the east end of the block post, which remains as private residence. 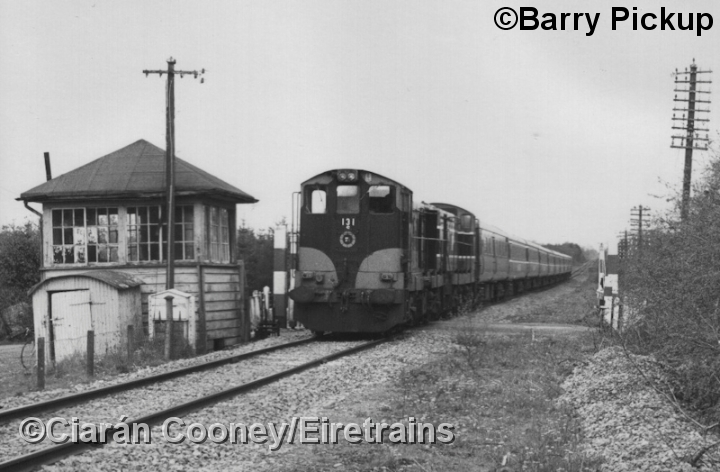 Downs Bog ceased to be block post in 1977 and the loop and sidings were removed, while a lever frame replaced the signal cabin which had remained in situ until 2000/2001. 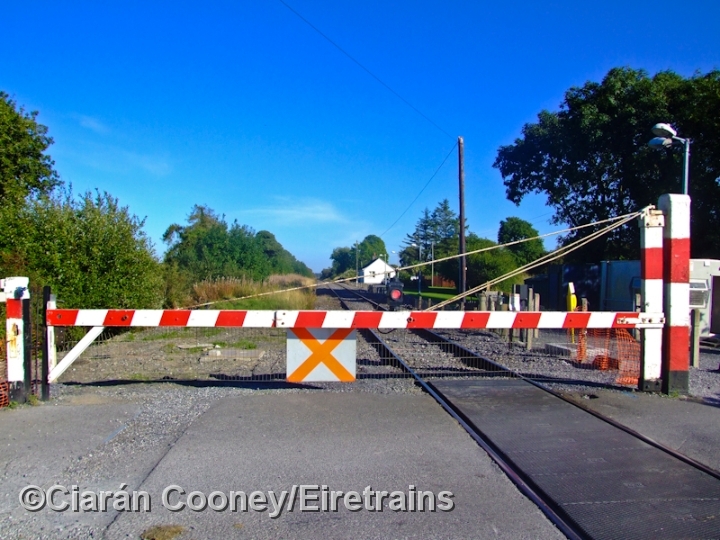 The crossing gates will soon be converted to automatic operation, one of the last on the Sligo line to do so.